ISLAMABAD – The rate of sales tax in Pakistan has been raised, much to the chagrin of retailers and manufacturers in the country. In statement issued on October 4th the Federal Board of Revenue of Pakistan announced 2 percent hike to the rate of the general sales tax (GST) applied to approximately 40 non-essential household products, including a large number of everyday items and electronic goods. The tax increase will take immediate effect, bringing the tax rate from 17 percent to 19 percent. The government’s decision to increase the tax rate led to immediate and heated disapproval from the wider national business community, claiming that the hike will have disproportionately negative effects on the national economy. 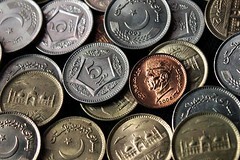 In an interview on the day following the announcement the President of the Karachi Chamber of Commerce and Industry Abdullah Zaki said that “…the business community totally rejects the additional tax,” because the government enacted the rise without taking into consideration the potential economic and commercial impact of the move. Abdullah Zaki also said that the combined negative effects of the tax and the current devaluation of the national currency will lead to a 10 percent increase in the average prices paid for many everyday items by consumers. Also commenting on the economic impact of the tax, the president of the Federation of Pakistan Chambers of Commerce and Industry Zubair Ahmed Malik said that the move will only burden the economy, and the hike is likely to result in a reduction of profits and activity among manufacturers operating in Pakistan.